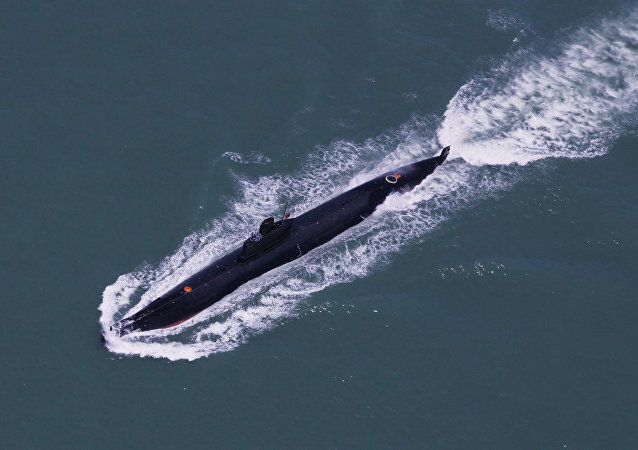 A Chinese Type 072II-class landing ship armed with a large electromagnetic railgun (ER) mounted on its bow departed from the coast in order to set sail over the open ocean, according to reports. 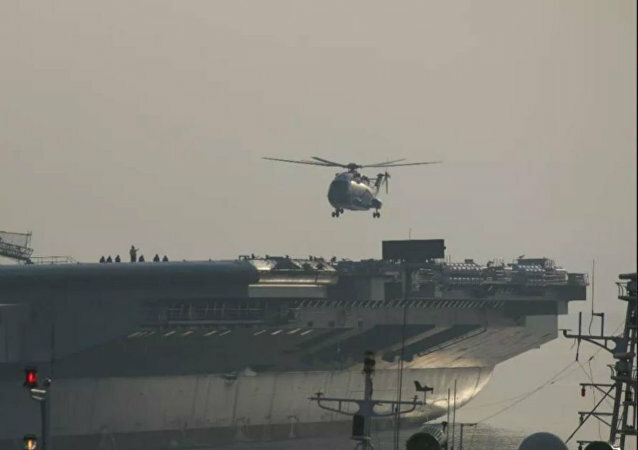 A US Navy aircraft carrier making a port call in Hong Kong has mysteriously caused massive problems for people in the area trying to use their cellphones and other electronics, according to local reports. China denied a request from the US Navy’s USS Wasp F-35 carrier to make a port call in Hong Kong amid trade tensions between the superpowers and Beijing’s recent decision to recall an admiral from participating in the International Seapower Symposium in Rhode Island. 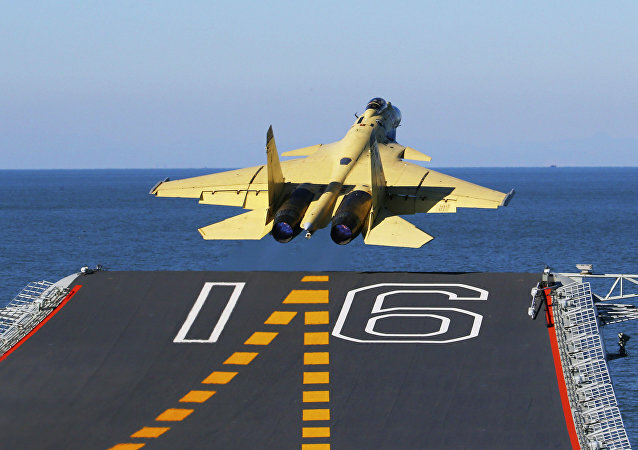 The Chinese military is looking to ramp up recruitment of fighter pilots as the People’s Liberation Army-Navy shifts from “shore-based” to “carrier-based” operations, according to a Tuesday announcement. 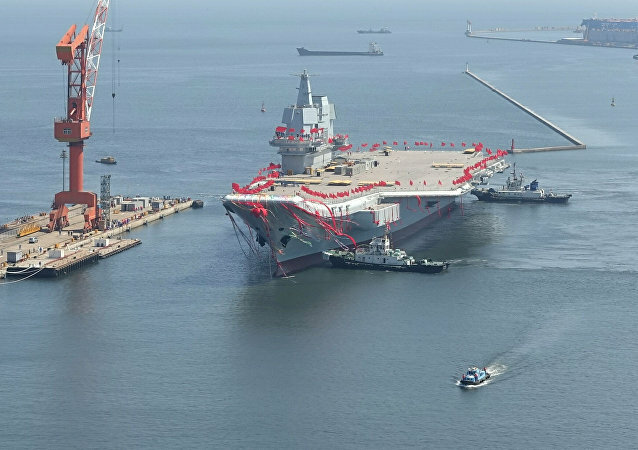 China’s first domestically produced aircraft carrier has begun its second stage of testing, closing down large parts of the Yellow Sea to naval traffic while it practices high speed maneuvers and tests the endurance of its propulsion system, experts have indicated. 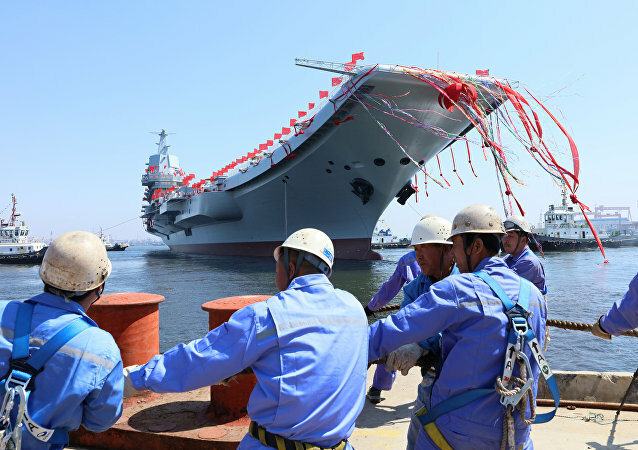 The first aircraft carrier to be built in China for the country’s navy left port on Sunday for its second round of sea trials, during which its primary weapon systems and command and control systems will be tested, Chinese state media report. 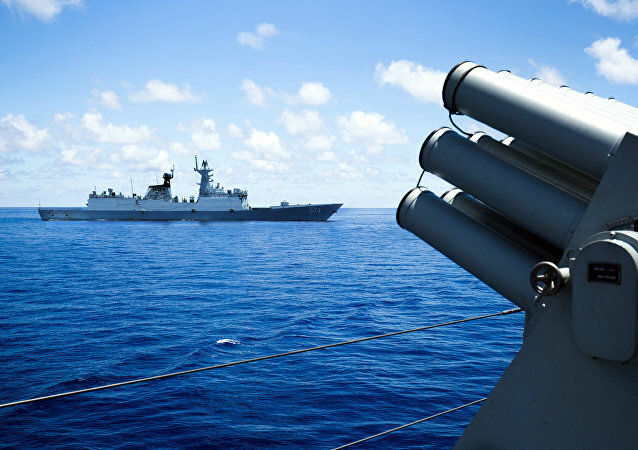 The Chinese navy recently tested its surface warfare fighting ability in the East China Sea. China’s first overseas naval base in Djibouti on the Horn of Africa is “likely” to be one of many foreign facilities that are aimed at protecting China’s citizens living overseas as well as its economic and financial interests, US military-tied analysts have said. Computer-generated imagery has appeared on Chinese social media showing that Chinese strategists are considering a new aircraft launching system that is not seen on either of the two aircraft carriers used by the Chinese navy. China’s People’s Liberation Army-Navy conducted anti-aircraft drills in the South China Sea on Friday, including shooting at dummy drone targets, following the US military’s nuclear-capable B-52 flyover earlier this month. 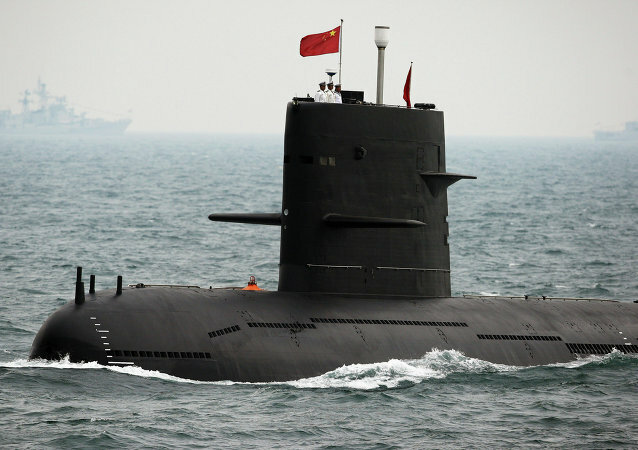 China’s People’s Liberation Army-Navy conducted live-fire drills in the Taiwan Strait on Wednesday as a way to “safeguard China’s sovereignty and integrity,” according to Beijing’s Taiwan Office Director Liu Jeyi, China Global Network reports. The US military warned Friday that pilots near Djibouti airspace should exercise “extreme caution,” as high-powered lasers are reportedly emanating from near China’s naval base there.